LYNN – The Flyers girls ice hockey team travelled to Lynn Monday night for a came against one of the Commonwealth’s best teams. The Flyers lost to St. Mary’s of Lynn 7-1. The Spartans have won several state championships, and their coach has applied for a Super 8 girls tourney with the MIAA. 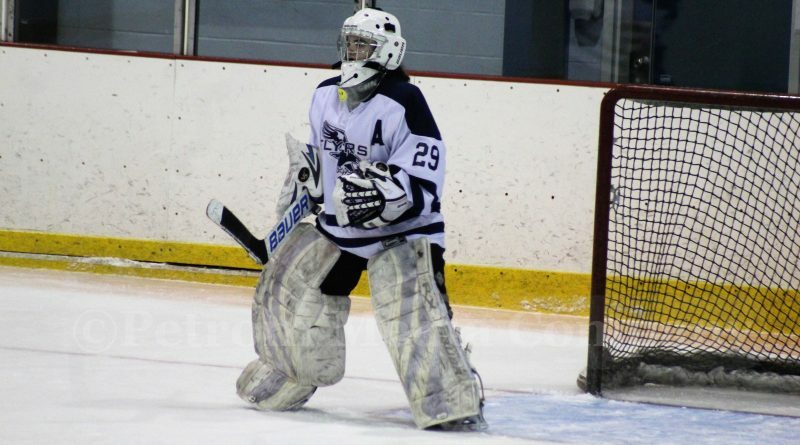 Goalie Emma Lowry, a senior, was “excellent” in net making 40 saves despite the loss, said head coach Mitch Mortali. Junior captain Katie Puumala scored the lone goal, assisted by freshman Georgia Parker and Jess Despres. Lowry shut down the offense of the 8-2 Spartans in the first period. The Flyers were competitive for two periods, down only 3-1 headed into the final period. This was the Flyers third game in a row. “We are on to Walpole,” said Mortali, who was an assistant varsity coach for the Rebels boys ice hockey teams for 6 years, in which four years they made the tournament. Mortali, who still lives in Walpole, calls the hockey games for local cable access TV. But the first-year Framingham High girls varsity coach is a Flyer now, he said. I have been “welcomed by parents and players alike, and we want to win,” said Mortali. The Rebels of Walpole will be the Flyers fourth game in five days. The puck drops at 4 p.m. at Loring on Wednesday, January 25.